Have a guesthouse, boutique, hotel, facility, or store in Haiti? 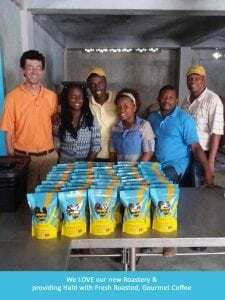 In early 2017, Kok ki Chante S.A. (our sister Haitian company) launched a roasting operation in Haiti, and Singing Rooster is quickly becoming Haiti’s #1 gourmet coffee brand. 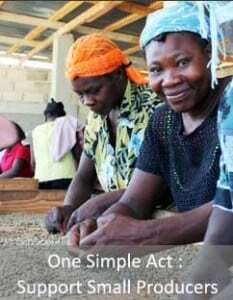 Serve farm-direct Haitian coffee and see the difference. Put Singing Rooster on your tables, shelves. 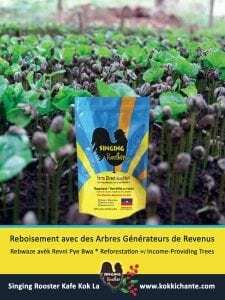 When farmers prosper, Haiti prospers. Contact us, we’ll help you create a wholesale account.